More trouble for the battered company. According to a securities filing released late last week, Netflix will be paying out $9 million to settle a 2011 lawsuit. The lawsuit accused Netflix of violations of the Video Privacy Protection Act (VPPA), which restricts video rental companies from disclosing customer data and requires them to destroy rental history within a year after it is no longer needed. 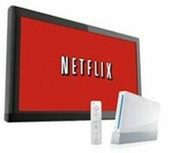 The class action lawsuit was filed when customers returning to Netflix after over a year found the company had kept their video watching histories. Anyone who uses Netflix is aware that the service saves data on what has been watched, and uses that information to provide additional show and movie recommendations. The VPPA has long been a thorn in Netflix’s side. It was originally implemented over. 20 years ago after Supreme Court nominee Robert Bork’s video rental history was published. Twenty years ago was the time of VHS rentals at stores. The technology has changed, but the law still applies. Netflix has said they would like the law adapted in such a way that Netflix can provide users with the ability to instantly share what they’re watching through social network sites like Facebook. The $9 million payout took a 14% dig out of Netflix’s fourth-quarter net income.